Takata CEO and Chairman Shigehisa Takada will become president as Stefan Stocker steps down from the role. TOKYO (Reuters) -- Takata Corp, the auto supplier embroiled in a global safety crisis, said today its president, Stefan Stocker, would step down and its CEO would once again assume the role to unify the company's response to the recall of millions of vehicles carrying defective airbags. Stocker, a Swiss national, joined Takata in February 2013 as an executive officer after working for Robert Bosch. He turns 61 on Thursday. He became Takata's first foreign president in June 2013, taking the role from Takada. He will remain with the company as a board member. 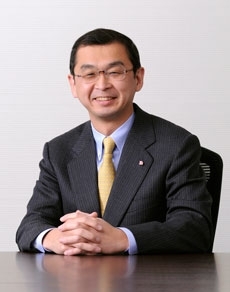 Shigehisa Takada, 48, the grandson of the company founder, will become president and retain his title as CEO and chairman. More than 24 million cars have been recalled worldwide -- about 17 million in the United States -- since 2008 over Takata's faulty airbags, which can erupt with too much force and spray metal shards into cars. There have been at least five deaths related to Takata's airbags, all in Honda Motor Co. cars. The prolonged safety crisis has prompted its third biggest client, General Motors, to develop contingency plans to shift business to other airbag makers in case recalls widen. Takata didn’t specify whether Stocker had resigned his position or was replaced, and Hideyuki Matsumoto, a spokesman, declined to comment beyond the statement. Takata hired Stocker last year to increase the company's oversight of its sprawling global operations. Takata, which is majority owned by its founding family, has come under criticism for its handling of the safety crisis and faces dozens of class action lawsuits as well as a criminal investigation in the U.S. Neither Stocker nor Takada has made a public appearance since a June shareholders meeting. The company in the past week placed open letters from Takada in a variety of newspapers, including Automotive News. The airbag maker said Takada will take a 50 percent pay cut for four months in response to the safety crisis. Stocker and three other senior staff will also take a pay cut for four months, the company said.